Our cover story this month is an original science fiction short by Sarah Grey (“A Bond as Deep as Starlit Seas”), illustrated by Waiji Choo. We also have original SF from Alex Irvine (“The Atonement Path”), along with SF reprints by Bruce McAllister (“Angels”) and Dominica Phetteplace (“Project Extropy”). Plus, we have original fantasy by Manuel Gonzales (“Scavenge, Rustic Hounds!”) and Kate Elliott (“A Compendium of Architecture and the Science of Building”), and fantasy reprints by Sheree Renée Thomas (“Treesong”) and Dennis Danvers (“Here's What I Know”). All that, and of course we also have our usual assortment of author spotlights, along with our book and media review columns. 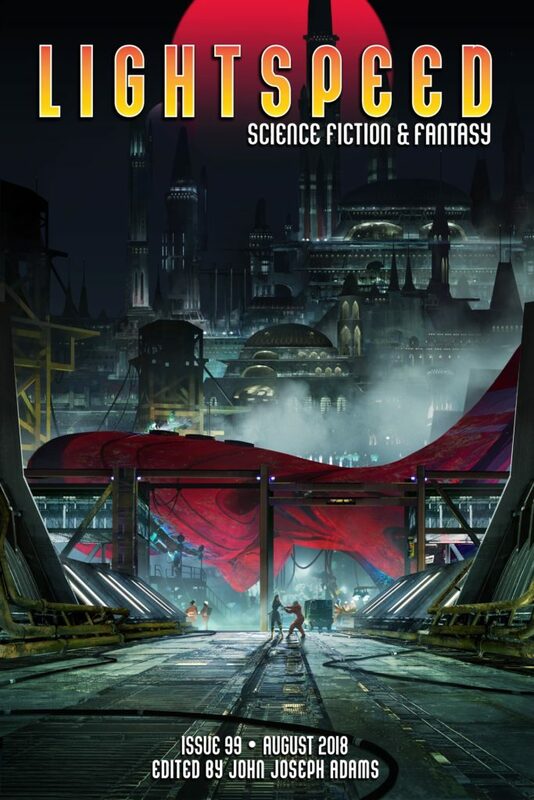 For our ebook readers, we also have the ebook-exclusive reprint of the SF novella “Native Seeds,” by Catherine Wells. Our book excerpt this month comes from Sam Hawke’s debut novel, City of Lies.